Happy New Years Saddleback! With the arrival of a New Year comes an opportunity for a new beginning. And who doesn't want God to be doing something new in their life? Whether it's NEW hope for an old dream, NEW love in an old relationship, a NEW start to an old story, or a NEW perspective to an old problem—God wants to do something NEW in you! This New Year we have an opportunity to live out God's promise by believing in his Word, "I am making everything NEW" (Rev 21:5)! It's only by Jesus we are made NEW. If we believe in the person of Jesus and the power of his resurrection, the old is gone, and something NEW is beginning. This month, many of our Saddleback family members took that message to heart by pressing towards our Daring Faith goals in NEW ways. Below are just a few of the amazing accomplishments that happened in January because of your sacrificial generosity and great faith. A key component to meeting the “F” goal is expanding to new communities as we strive to advance God’s kingdom and reach one more for Jesus. Several of our campuses did just that by recently moving locations, launching more services, and opening doors to new midweek ministry space. Plus, several new campuses are slated to launch in the coming months! 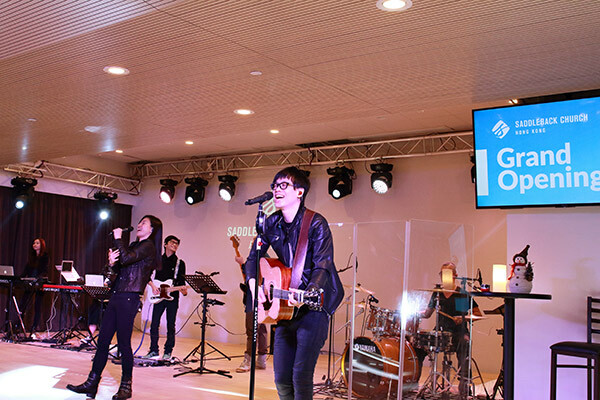 You won’t believe some of the exciting things that are happening at our Saddleback campuses in Berlin, Hong Kong, Aliso Viejo, and Irvine North. Check it out! Since we started Daring Faith in 2015, we’ve launched four new campuses including Saddleback South Bay that just celebrated their one-year anniversary. In the brief 12 months the campus has been running, they’ve reached 450 in weekly attendance, baptized 48 people, and relocated to the Torrance Arts Center to accommodate the growing and thriving campus. To learn more about their remarkable journey this year, click HERE. January was a big month in expanding the work of our Local PEACE Plan, starting with our Rancho Capistrano campus. On the fourth Wednesday of every month, committed volunteers regularly serve the community through their Mobile Food Pantry. More than 80 volunteers routinely unload food trucks, set up items, and share the hope and love of Jesus Christ to those in need. Read MORE about how the dedicated sacrifice of our church is transforming the city of San Juan Capistrano. On January 25, Saddleback Singles partnered with Local PEACE by serving at our Food Pantry Donation Center in Foothill Ranch. The event was a chance for our Singles Ministry to contribute to our Daring Faith goals and to connect with like-minded members. Click HERE to learn how this evening of service led to several new people joining the Saddleback family. On January 28, Saddleback members stepped up to assist those in need by joining Compton Workdays. Organized by Saddleback’s Good Neighbor Compton Ministry, the event brought people together with a common passion to make a difference in the lives of children. 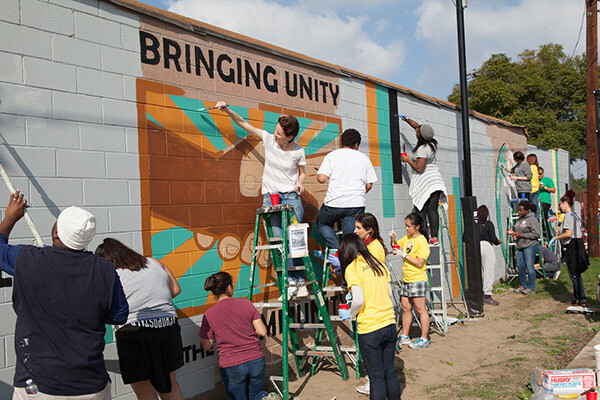 Over 60 volunteers made an incredible impact on the Compton community by painting and repairing a local school. Read MORE about how lives are being transformed through this Daring Faith-birthed ministry. Last month, our Christmas services and events chipped away at two of our Daring Faith goals: Fill God’s house and interconnect our growing fellowship through new technologies. Over 52,000 people attended our Christmas services, and another 26,000 viewed the Christmas services online. Of all our stats, the most exciting are the 1,020 new believers who accepted Christ because of Saddleback's Christmas message! In other tech news, we are almost done building our first Interconnect Room that will train our growing fellowship using video conferencing and two-way interactive broadcasts with other campuses. Read MORE about this new development and how technology is being used to help build God’s kingdom. Each month, our members are taking steps to help meet the “T” goal by participating in new training programs hosted by Saddleback ministries. 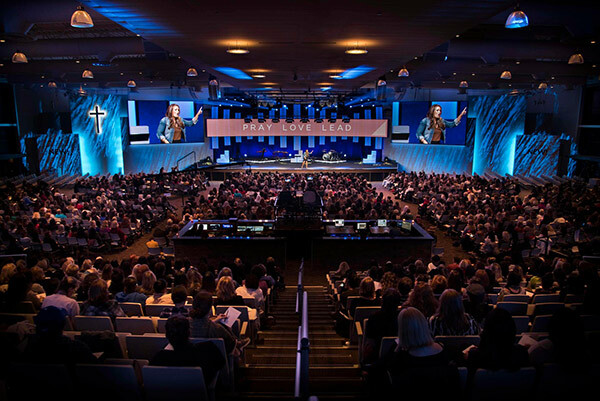 On January 18, nearly 1,500 women attended Pray Love Lead, a training conference held at our Lake Forest campus. We also had hundreds of members attend our training events for small group hosts, pastoral counseling, storytelling, JHM leader training, and more. Click HERE to find out how these ministries are equipping our members to be global leaders. This month, 150 members attended PEACE Practical, our quarterly Global PEACE gathering. The event was a time of building community, training members, and providing access to global missions opportunities. As the first PEACE Practical of 2017, members celebrated the New Year and engaged in the final frontier project of our Global PEACE Plan. Read MORE about how PEACE Practical is mobilizing and empowering ordinary members to connect with serving opportunities around the world. 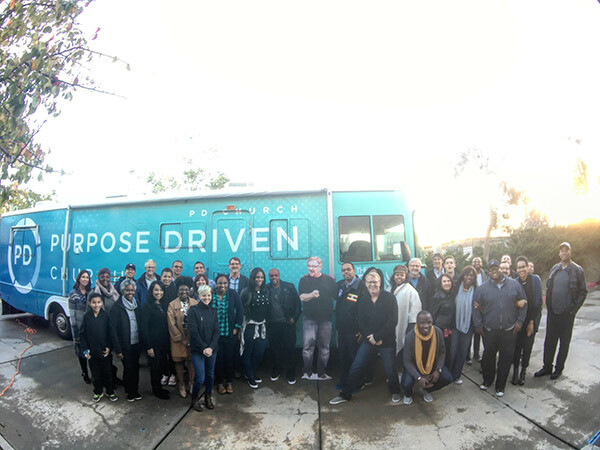 Also this month, Saddleback’s Purpose Driven Team hosted their first PEACE Day event at San Diego’s Bayview Baptist Church. Held on January 24, the gathering introduced church leaders to the PEACE Plan and the Purpose Driven discipleship process. Find out MORE about how PEACE Days are training church leaders to reach the last 3,000 unreached tribes. 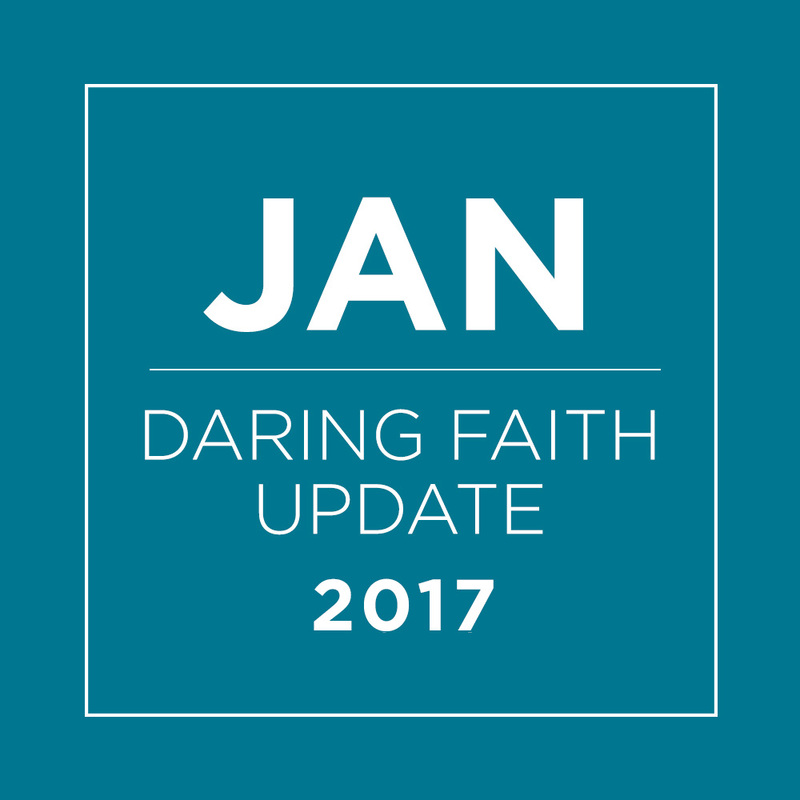 Thank you for being part of the Daring Faith vision to fulfill these five God-inspired FAITH goals. 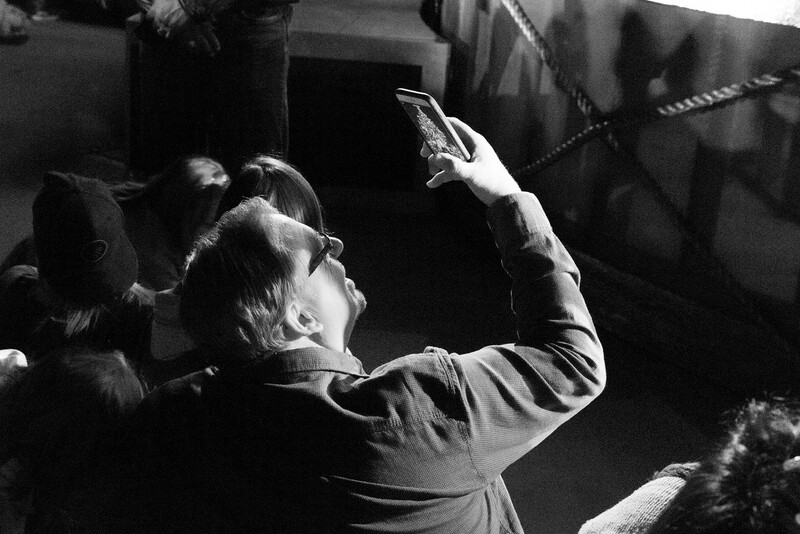 It's because of your sacrificial generosity that these dreams are starting to become a reality. Your sacrifice is literally changing thousands of lives in our communities and around the world. Below is just one story that represents hundreds of stories of how your commitment to share the hope of Jesus Christ is transforming lives everywhere. Read Kelvin's story and how the Daring Faith campaign challenged one man to take bold steps of obedience that changed his perspective forever.